Dr. Craig: I teach philosophy to high school students at an international school in Beijing. Your work has proven to be an invaluable resource for my classes. Recently a student asked me a question that often arises in class: Do aborted babies go to heaven? In the past, I have typically responded to this question in the affirmative. In support of this response I routinely cite Jeremiah 1:4-5 (God knew Jeremiah before forming him in the womb) and 2 Samuel 12:22-23 (David telling his servants that his dead child will not return to him but David will go to his child, thereby implying they will be reunited in heaven). After giving this response yet again, this particular student threw me a curve. He stated that if God indeed has middle knowledge, then He knows whether and which of these babies, if given the opportunity of a full life, would enter into genuine relationship with Him. Given the odds that surely not all would accept Him, those whom God knows would reject Him will receive their rightful place in hell. I find the student's argument to be both compelling and disturbing. Is there a way to defeat his conclusion? What a thrill to know that our material is being used to train students in China! May God greatly use you, Martin! I agree with your answer concerning the salvation of those who die in infancy, primarily on the basis of Jesus’ attitude toward children. For example, he said, “Let the children come to me, and do not hinder them; for to such belongs the kingdom of heaven” (Matthew 19.14). The middle knowledge solution is not, however, a good one, for the simple reason that a person cannot be condemned for something he has never done. For example, had I been born in Nazi Germany, maybe I would have become a member of the Hitlerjugendand committed atrocities. But God will never judge me for such crimes because I never actually committed them! We can be judged guilty only of wrongs we have actually done. So (not to mention the fact that those who die in infancy might reject Christ under some circumstances and accept him under others) the fundamental point is that they cannot be condemned for something they never do. 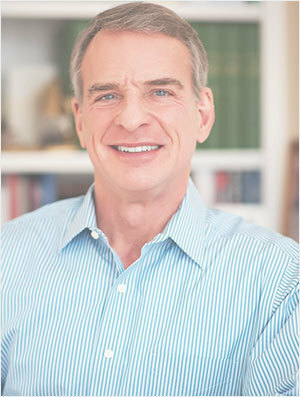 This Q&A and other resources are available on Dr. William Lane Craig's website.